Increasingly, sheet music is being distributed online. Purchasing sheet music via a legal online store is permitted even when the store is based overseas. Online retailers have their own agreements with publishers and owners of works regarding the sale of the works. As such, they may sell works into the territories for which they have an agreement. When purchasing music online, generally you are purchasing a licence to download or print that score for the purposes usually set out in the terms and conditions of the retailer. 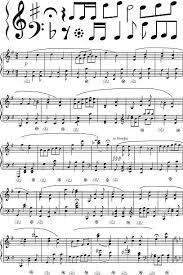 The Barbershop Harmony Society Marketplace is our most important online store for sheet music. Currently, the BHS Marketplace online catalogue includes over 780 published titles online. And many of these have World Wide rights and are downloadable into the Australian copyright territory. The Barbershop Harmony Society also has over 3500 unpublished titles online. Many of these also have World Wide rights and are downloadable into the Australian copyright territory. When purchasing available sheet music from the BHS Marketplace, members should order the number of copies of the sheet music required for their chorus or quartet. A 25% discount is available on many of the works. To gain the discount use the code: aff2018. If you have any questions or need help, please contact Trevor Rootes secretary@barbershop.org.au.